Fantastic Fun for Father's Day Weekend! This Father's Day Weekend there are plenty of events for family fun! Whether you have kids, or are still a kid at heart, you'll be sure to find some fun activities to share with friends and family! P.S. For a good laugh, check out Russell's struggle with a Windpouch at #RUhappenin ! Please join us for a fun evening of local brews & wine, delicious food, silent auction, and live music at Avondale Brewing Company. All proceeds benefit Camp Fire Alabama programs and initiatives for children, youth, and families in our community. Click here for more info. 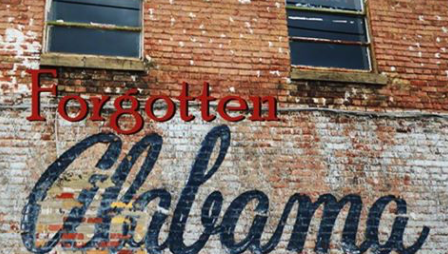 Glen Wills takes us on a journey across Alabama as he documents the remnants of Alabama's past. Over the course of the last 10 years, he visited all of Alabama's 67 counties, logged 30,000 miles and took close to 15,000 photographs. He will be sharing these photos and stories with us. His books will be available to purchase. Registration requested. Call the library at (205) 991-1660 Click here for more info. 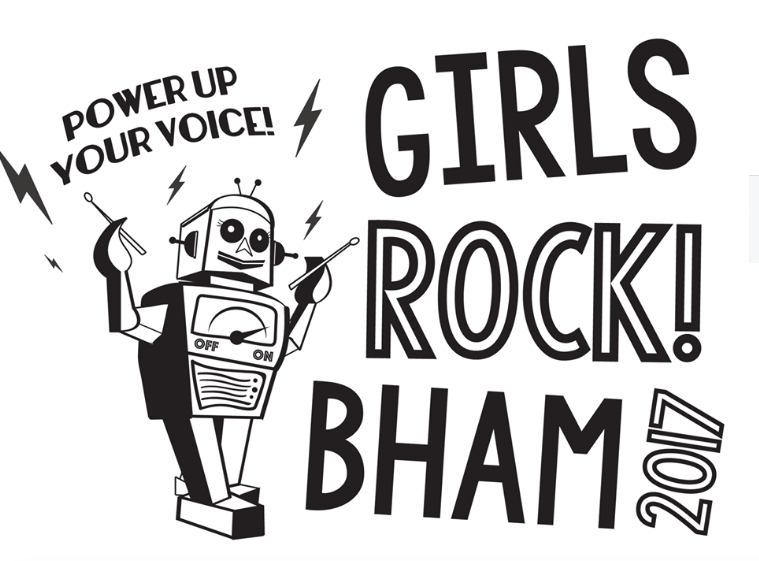 Girls Rock Birmingham is a weeklong rock ‘n roll camp for girls ages 9-16 where campers pick up instruments (many of them for the first time ever), channel their inner rock star, and write an original song. All of their hard work cumulates during the Friday night performance where they get to showcase what they’ve done over the week. Come support the newest generation of Birmingham musicians and cheer them on as they take the stage at Saturn! Click here for more info. 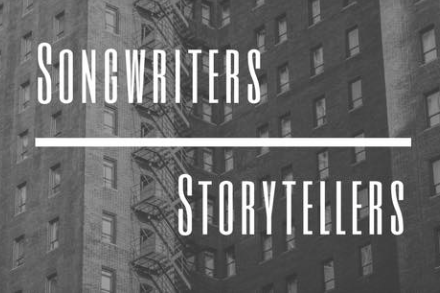 Each year The Common House hosts a unique event called our Songwriter showcase where they feature several artists who share the stories behind the songs they write and give a window into their songwriting process. This year will feature: The Matchcoats, Matt Sanderlin, and McKenzie Lockhart! Common House shows are always BYOB so bring something to sip on, come listen to song stories & songs and enjoy the evening. While the show is FREE donations are always appreciated! Click here for more info. Come celebrate the vibrant traditions and cultures of Africa at this fun-for-all-ages event! 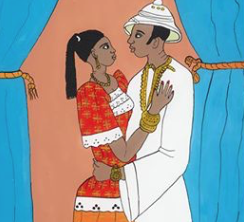 Inspired by the art in the BMA African galleries, the festival features art-making, dance, music, and more! Create your own reverse-glass painting and grab a paintbrush to make your own mark on a collaborative mural. Take a family-friendly tour of the galleries and enjoy a lively performance of African dancing and drumming! Click here for more info and full schedule. 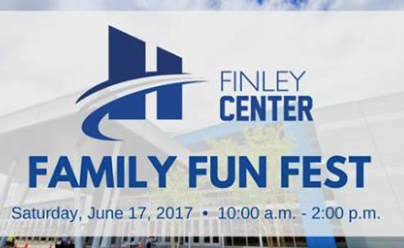 The Hoover Metropolitan Complex will be hosting a ‘Finley Center Family Fun Fest’ at its brand new facility, the Finley Center. The event will be FREE and will include a variety of activities. Community members are invited to attend and tour the new facility! The first 300 people in the door on Saturday will get a coupon for a free hot dog and frosted popcorn! Don’t miss out on this great community event that’s fun for the entire family! Click here for more info. Birmingham's first Taco Festival is here! 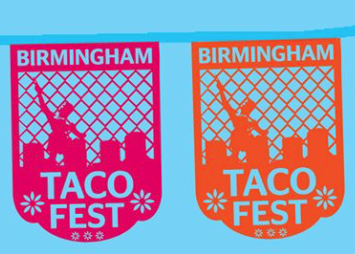 Bare Hands Gallery, host of the annual Dia de los Muertos festival, is proud to present Birmingham Taco Fest. Come join them in tasting the best tacos from local Birmingham restaurants and food trucks! After all, Tacos are the BEST! Click here for more info. Once again, the Center is proud to present the fourth-annual LOCAL – a celebration of everything Alabama. Kick off your summer at our outdoor and family-friendly event. Shop your favorite Alabama farmers, artists and vendors while enjoying live performances by local musicians. All your favorite food trucks will be on site when it’s time for a bite to eat. 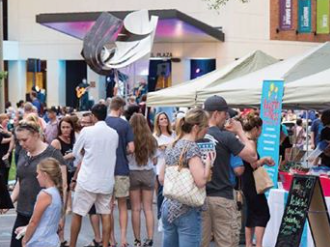 LOCAL is the perfect event for everyone who loves to call this great state home! Click here for more info. 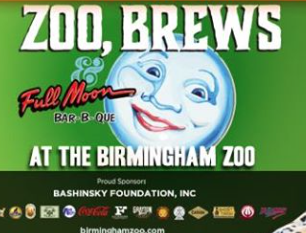 Join the Birmingham Zoo as they kick-off the third annual Zoo, Brews and Full Moon Bar-B-Que event! Craft beer fans will love the selection of drinks from some of the finest specialty brews around. Enjoy drinks from over a dozen breweries from all over Alabama and the southeast. 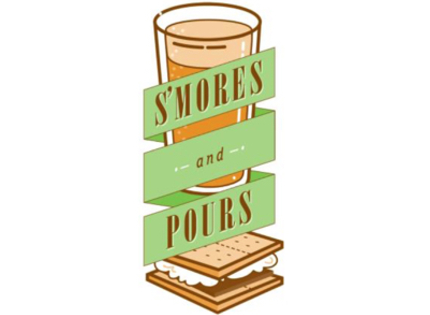 In addition to beer, there will be plenty of other libations, including wines and non-alcoholic beverages. Attendees will enjoy tasty dinner provided by Full Moon Bar-B-Que. 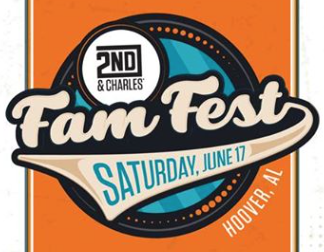 This family event also includes live music by Park Band, a Talladega Super Speedway pace car and street team, animal greetings and walkabouts, the all-new Pirate Train ride, special kids activities and much more! Click here for more info. 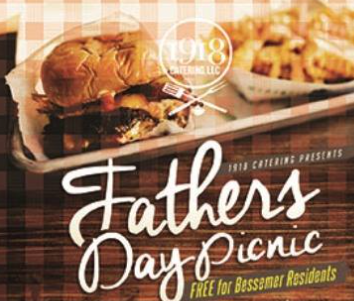 This Father’s Day join 1918 Catering as they celebrate the life of their father, Enoch Brown Jr.. This event aims to show local children the importance of fathers in the community. For more information call (205) 260-7515 or click here. A little beer, a little brunch, and a little dad rock never hurt anybody! 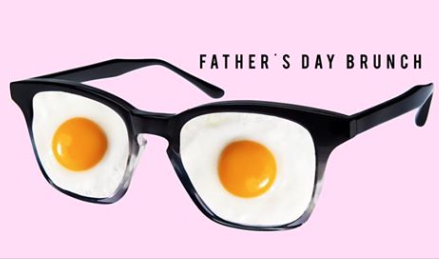 This Sunday, TrimTab is pulling out all the tricks to ensure your Father's Day isn't boring! There will be a build your own bloody beer bar, rock n roll hits from the 60s, 70s, & 80s, and brunch by Tropicaleo! Bro down with your dad or dad squad this Sunday at TrimTab! Click here for more info.